Scott W. Fitzpatrick joined Owens Law Group, P.A. in November, 2008. Scott is a fifth generation native of Hillsborough County , Florida and obtained his J.D. from Stetson College of Law in 2000, after earning a B.A. from the University of South Florida in Political Science. While at Stetson, Scott served as an Editor of the Stetson Law Review, and was awarded the Cecil E. and Augusta Bailey Award for meritorious leadership in the field of law. In 2000, Scott was admitted to the U.S. Tax Court and the U.S. District Court, Middle District of Florida. Since becoming a member of the Florida Bar, Scott has vigorously represented his clients in courtrooms, boardrooms, and arbitration forums throughout Florida , and before the Florida Governor and Cabinet. Scott engages in litigation topics which include, but are not limited to, contract disputes, securities fraud, Interstate Land Sales Full Disclosure Act violations, restrictive covenant enforcement, foreclosure defense/prosecution, common law fraud, breach of fiduciary duty, misrepresentation, Florida's Unfair and Deceptive Trade Practices Act, shareholder derivation actions, civil theft, and consumer protection. Before joining Owens Law Group, P.A. Scott was a solo practitioner for five years with offices in Tampa , Sun City Center , Riverview and Wesley Chapel. Scott has lectured on real estate, mortgage, securities, and corporate topics, and focuses his practice in these areas. Scott is a member of the Attorney's Title Insurance Fund, and has conducted thousands of residential and commercial real estate transactions throughout Florida . 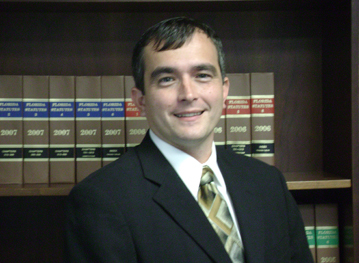 Scott also serves as general counsel for various non-profit organizations.